Pioneer in Providing High Quality 5D Ultrasounds in Calgary, Alberta at UC Baby®! Experience Canada’s FIRST 5D Ultrasound!!! Click here for a chance to WIN a FREE 3D/4D/5D ULTRASOUND Package! We provide you the best quality 3D / 4D / 5D Ultrasound at our UC Baby® Calgary location. Our goal is to make your experience a very special one for you and your family using advanced ultrasound and internet technology. UC Baby® Calgary has experienced team of professionals trained by our founder Dr. Tina Ureten. 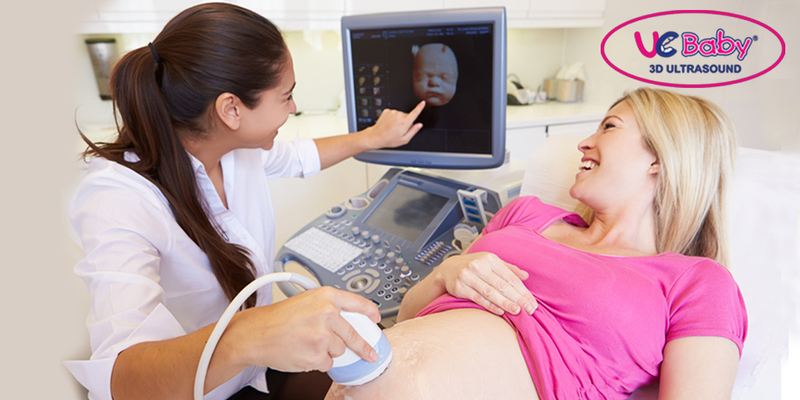 Our friendly ultrasound sonographers are medical professionals and they thrive to provide you the best 3D/4D/5D Ultrasound experience in Calgary, Alberta. UC Baby®’s 3D ultrasound clinic is recommended by many medical professionals when pregnant moms need 3D/4D/5D ultrasound in Calgary and Alberta. We are the first center in Calgary offering high quality 3D, 4D and 5D ultrasounds. Our 4D ultrasound provides a real time viewing of your baby's movements. We can catch the first glimpse or yawn of your baby during the 4D ultrasound scan. Your 3D Ultrasound isn’t just a special experience for you, but your family and friends too. UC Baby® allows you to share the precious moments by inviting up to six people into our 3D ultrasound lab with you for your ultrasound session while eight more people can watch the big moment through our Live Broadcast Services. At UC Baby®, we don’t rush our service so you and your loved ones can enjoy the benefits of 3D ultrasound. Our environment is family friendly and the facility is designed for your comfort and relaxation. If you are excited to learn whether it’s a boy or a girl, you can get correct gender determination at UC Baby® Calgary. At UC Baby®, we strive to provide the best possible ultrasound experience to all pregnant moms in Calgary. Our Gift Certificates can also provide mothers a fascinating way to cherish the miracle of life.